"Year of Dialogue and National Reconciliation"
Economist by Universidad del Pacífico. Master in Economics and PhD(c) in International Finance, Public Finance and Monetary Theory, both by Georgetown University. 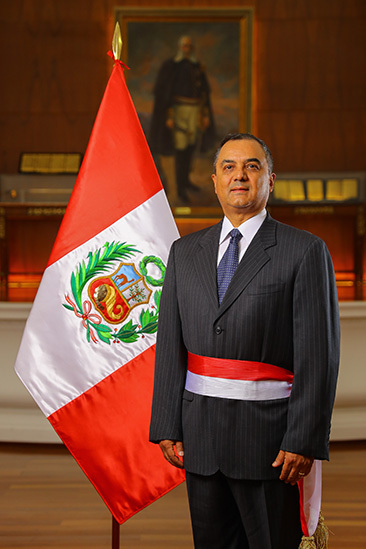 He served as director at the Central Reserve Bank of Peru and as vice minister of Treasury at the Ministry of Economy and Finance. He was also vice president of the board at Banco de la Nación. He worked as country economist for Chile, Colombia and Venezuela at the Inter-American Development Bank (IDB). He was a member of the board of directors at the National Center for Strategic Planning (CEPLAN) and director of the master program in Public Management at Universidad del Pacífico. Additionally, he worked as external consultant for the Inter-American Development Bank and the World Bank.